A troubling situation that threatened to tear apart a trusted PC hardware maker and potentially leave legions of PC enthusiasts without support for current hardware appears to be blowing over, at least for end users. Earlier in November, PC hardware maker Zalman looked like it was headed for bankruptcy after its parent company, Moneual, borrowed hundreds of millions of dollars it couldn't pay back. A statement by Zalman distances the hardware maker from its parent company's actions and provides solace for worried Zalman customers going forward. Why this matters: The big fear was that Zalman could be liquidated to support Moneual's allegedly fraudulent activity. If that happened, then any PC owners who picked up PC Zalman components such as water cooling systems, heat sinks, and ultra-quiet power supplies could lose technical support and, more importantly, their warranties. Beyond that, the future of Zalman itself appeared in jeopardy. In late October, Moneual failed to repay bonds worth 500 billion Won (about $500 million), to two major banks and filed for court receivership, according to The Korea Times. This prompted authorities to investigate whether the company overstated its performance in order to sell export bonds totaling nearly $900 million. The resulting investigation uncovered an alleged $3 billion fraud conspiracy. Despite the apparent bad actions of Moneual, a South Korean court decided that Zalman, which had filed for bankruptcy protection, was not a party to the fraud and will sever the company from its parent. The end result is that Zalman gets to continue operations and undergo restructuring with oversight from the Korean court. Recently, Zalman issued a statement saying that the company was experiencing "financial hardship" thanks to Moneual's activities. The company's customers, however, should expect business as usual. 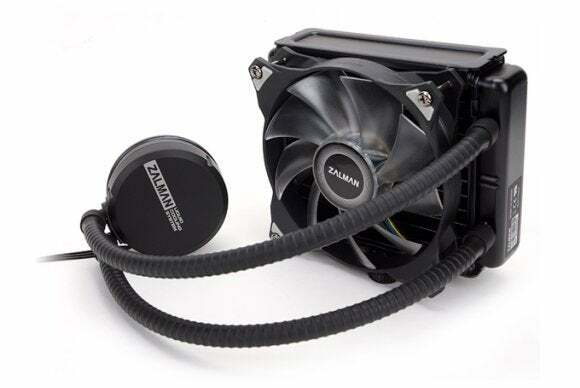 "Nothing will change for owners of existing Zalman products as they are still covered by the manufacturer’s warranty if applicable," the company said in a statement. "Zalman will always guarantee post-purchase support to our customers." Although Zalman is going to continue it's not yet clear if the company will survive the restructuring process. For now, however, if you own a Zalman product you can count on your product being supported.